Selling a San Antonio Texas area home involves many steps and having an experienced San Antonio Texas Real Estate Agent by your side will make the transaction run a lot smoother. I would love to be your San Antonio Texas Area Real Estate Professional! I assist both buyers and sellers in the San Antonio Texas area with either the purchase and or sale of residential real estate. As an Accredited Buyer’s Agent, I have received special training to guide and educate you through the entire home buying process. From start to finish, I listen to your needs and desires in what you would like and take the information you give me to find you home. 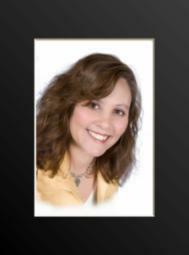 As your San Antonio Texas listing agent I am well versed on the local San Antonio Texas area Real Estate Market. You can expect personalized service that includes a detailed consultation on how to best position your home to be competitive in today’s market with an in depth comparative market analysis, and advice on staging. I use the latest and most up-to-date marketing methods to get your home in front of as many buyers as possible. Being your San Antonio Texas area Realtor® not only involves just finding the home or selling the home, but being your guide, negotiator, advisor and advocate and making sure that your needs and goals are met. Being your San Antonio Texas area Realtor® is one of my truest passions, and “Helping You Find Home” is my number one priority. Subcribe by clicking the Sponge! !